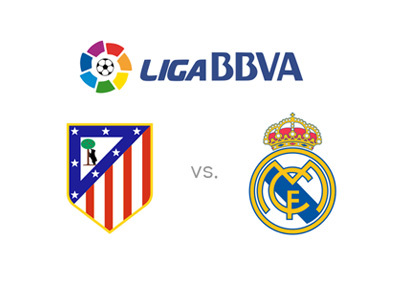 Another big game coming up this Sunday, October 4th, is the Madrid Derby featuring crosstown rivals Atletico and Real Madrid. The match will take place at the Estadio Vicente Calderon with the kick-off at 8:30pm local time. After six rounds of games played in the Spanish La Liga so far this season, Real Madrid are in third place with 14 points, while Atletico are in fifth position with 12 points. Villarreal are surprisingly first at the moment with 16, followed by Barca with 15 points. The Madrid Derby is always a physical and heated affair. The last time these two met in the league at Vicente Calderon in February of this year the score was 4-0 for the hosts. Atletico destroyed Real that night. Real managed to get the better of Diego Simeone's team a month later in the quarter-finals of the UEFA Champions League with a minimal 1-0 aggregate victory. Real most recently beat Malmo away in the UCL with the score of 0-2. Ronaldo scored his 500th and 501st goal of his career and on the same evening became Real Madrid's top scorer ever with 323 goals to his name. Real's last game in La Liga was a 0-0 draw at home against Malaga. The record-breaking Portuguese striker missed a handful of chances in that one. Atletico Madrid lost their last two matches. In the domestic league they were defeated by Villarreal 1-0 and then in the Champions League they lost at home to Benfica 1-2. The newly purchased striker Jackson Martinez and his teammates are hoping to turn their fortunes around with a home victory against their neighbours. Real Madrid are the favourites to win.